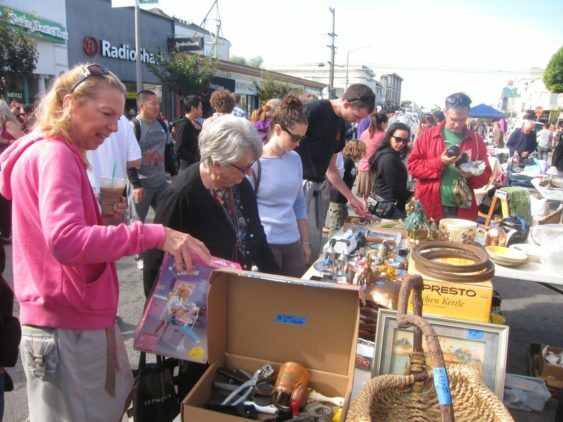 Join the Inner Sunset Flea on the second Sunday of the month from April to November 2019. Come hunt for a bargain, sit down for some food, let the children play, and catch up with friends and neighbors, featuring 30 resident, artisan, nonprofit, and local business vendors as well as food, activities, and more. The festive family-friendly monthly flea market features vintage finds, local crafts, live entertainment, family fun and food all surrounded by the unique shops and eateries of the Inner Sunset. Anybody is welcome to sell at the Flea. That includes Inner Sunset neighbors, residents from elsewhere, professional vendors, and non-profit organizations.